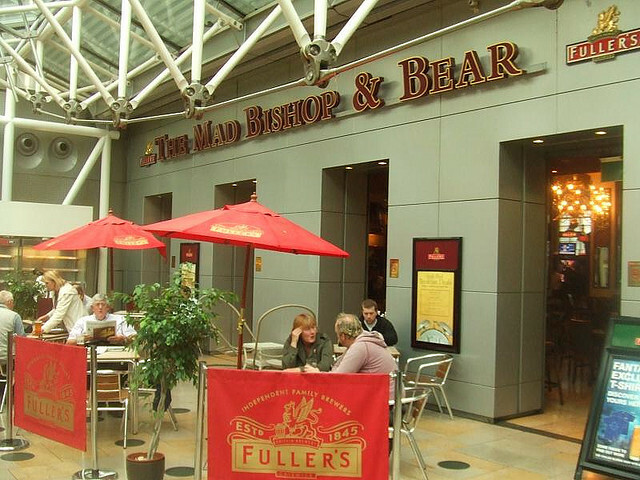 London's first decent station pub (opened 1999) sits proudly on top of Paddington's food and drink mall. 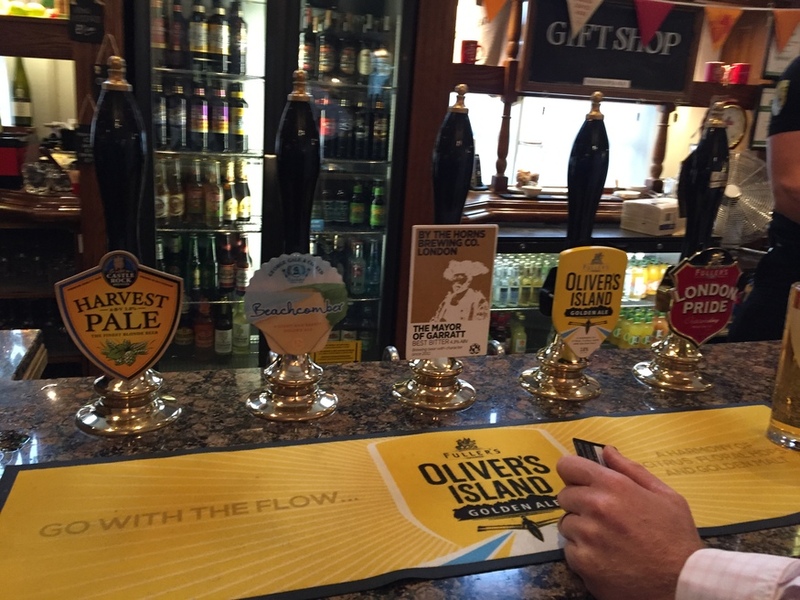 It's a Fuller's house, but allows in guest ales such as brews from Tooting's By The Horns and Castle Rock brewery. 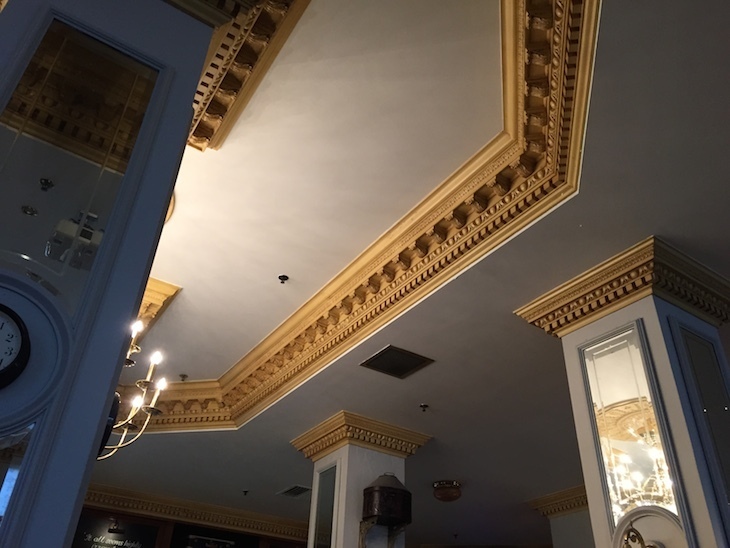 High ceilings and plenty of space mean that tables aren't too hard to come by, even during rush hour. 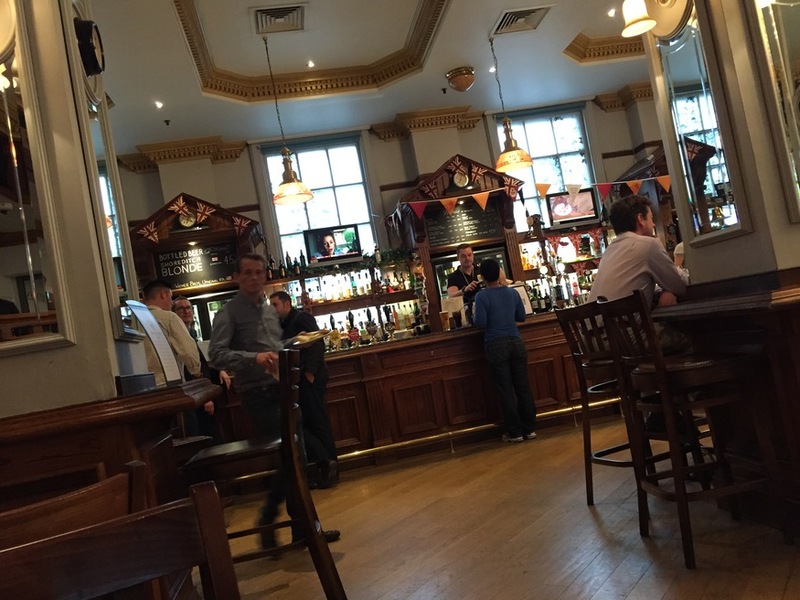 This place is a regular favourite of CAMRA, and won their 2015 West London Pub of the Year award. Licensee Helen Wilson is well respected on the beer scene, having previously served at the nearby Victoria. She even wangled her own house brew with the creation of Mad Bear in 2014. Alas it didn't stick around long enough to be present at our most recent visit, but we're told it had 'marmalade-like' qualities. All of which will not leave you guessing as to the identity of the bear in the pub's name. The Bishop, meanwhile, was the landholder who had to sell his land at a knockdown price so that Paddington station could be built. An infinitely better pub that the 'Beer House' portacabin on the main concourse, which has pretty much no decent beer. On Twitter as @MadBishopW2. On Facebook. This pic was taken nearly a decade ago, when we did a crawl around station pubs. It hasn't changed much, mind. Good to see some guests in a Fuller's pub.